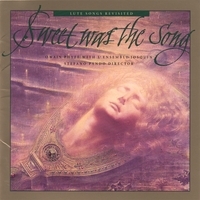 "Never have you heard early music done in such a refreshing and genuine fashion, Sweet Was the Song brings out the essence of the Renaissance: enlightenment, creativity, and rebirth. Owain Phyfe's ironically new vocal treatment of the music is actually most likely what people were hearing the time the music was written! His collaboration with "L'Ensemble Josquin and notable lutenist Stefano Pando, is a long awaited treatment of these works. "WARNING! The contents of Sweet Was The Song are Highly addictive. Owain Phyfe's voice is as clear and hauntingly beautiful as any I've heard. Finally! a healthy addiction. .............(P.S. ): Do CD's Wear Out?" I was looking for a version of "Joy to the person of my love" and I found this CD, so now I have 14 beautiful songs instead of one.